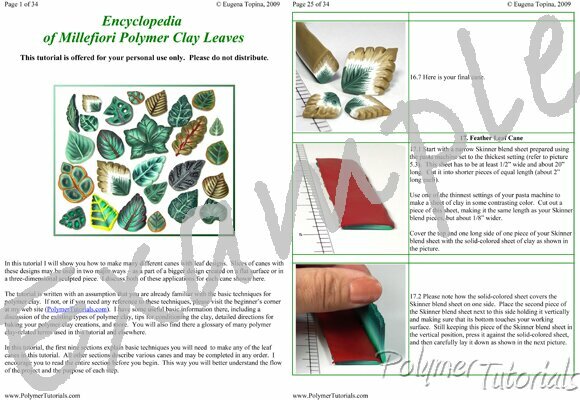 Following clear and detailed instructions in this polymer clay tutorial, you will be able to make all polymer clay leaves shown in the picture – and more! You will be able to use these leaf canes for anything you want – flat designs as well as 3-dimensional ones. There are 34 pages packed with information and tips, and I've included 90 full-color pictures to guide you through every step. Love it - Very detailed and easy to follow. Thank you. Lauri ..